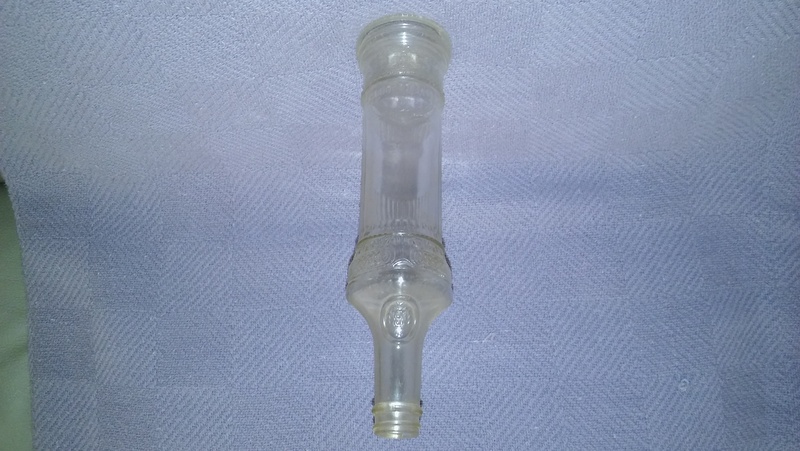 I have been searching and cannot find any information as to where this bottle came from, date, where it was made or anything at all. 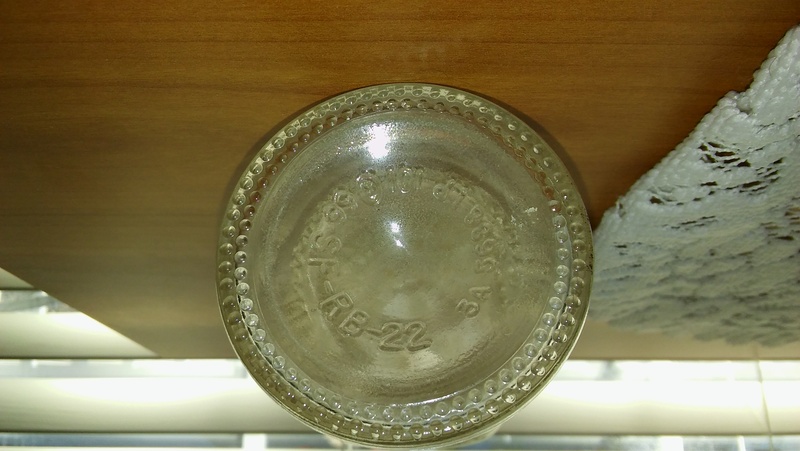 It is 9 1/2 inches tall - Clear Glass - Has a monogram "B" on the shoulder. Identifying marks on the bottom are ... "SF-RB-22 2a" and "5688-LP101 66". Any help would be much appreciated.